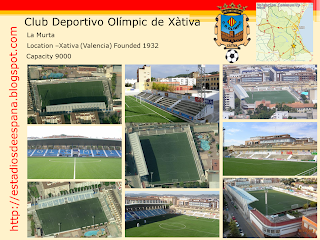 Xàtiva is a fantastic provincial town around 40 miles south of Valencia and its major claim to fame is not regrettably the local team, Club Deportivo Olímpic de Xàtiva, but the fact that it is the birthplace of not one, but two Popes. 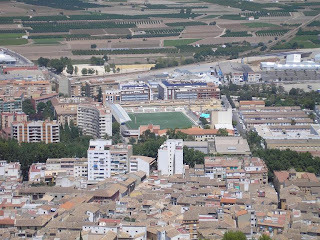 I found myself in Xàtiva back in 2006 and loved every minute of it, so therefore I have to declare an interest in the club and their stadium, La Murta. La Murta in 2006, overlooked by La Castillo de Jativa. 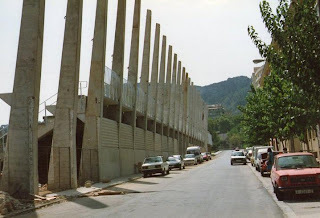 It took the better part of a decade, but Olimpic finally returned to the 3rd level, then renamed Segunda B for the start of the 1977-78 season. A promising first season saw them finish in 8th position, but 1978/79 was an unmitigated disaster. Olimpic finished bottom of the division with just 4 wins and 12 points from 38 matches. The decline continued and after 3 seasons of football in the Tercera, Olimpic was back in the Regional Preferente. 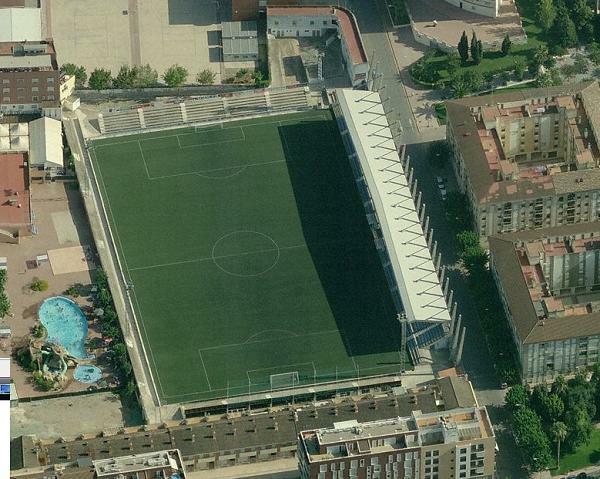 Olimpic returned to Segunda B in 1987/88 under the guidance of Coach Benito Floro. That first season back saw their best ever placing of 4th, missing out on promotion on the final day to local rivals Alzira. 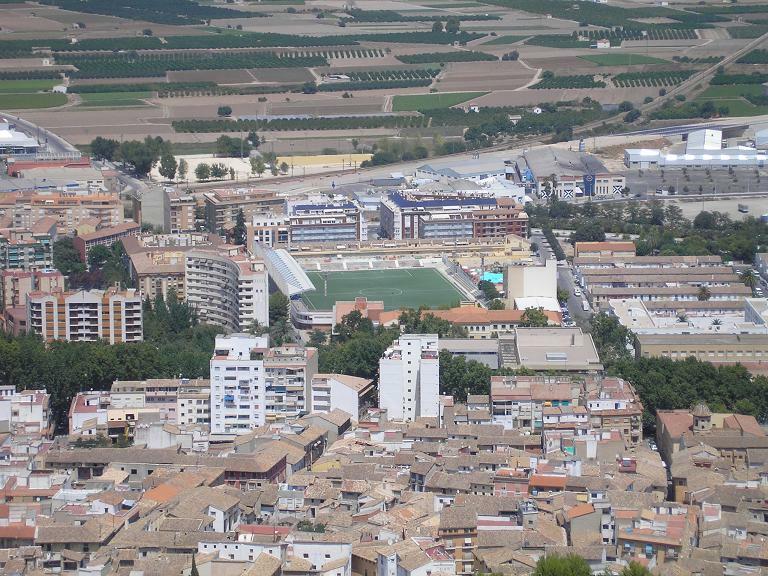 That was the highlight of that particular sortie in Segunda B and after 4 seasons the club returned to the Tercera. 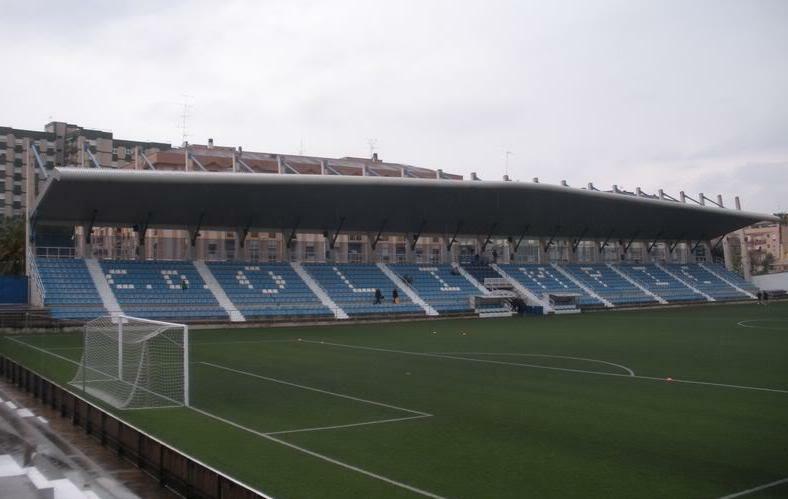 Since then, Olimpic have switched between the Tercera and Regional Preferente. It took 20 years after they last appeared in Segunda B, for the club to mount a serious challenge for promotion back to this level. 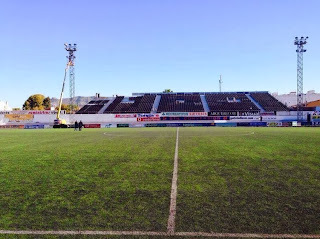 Having defeated Atletico Malagueño in the first round of the play-offs, and CD Anguiano, Olimpic ran out comfortable 4-1 winners against CD Izarra to earn a place in Segunda B. As for the stadium, Campo de La Murta has been used as a football field since late 1922 and is the only home ground Olimpic have used. Until 1960, the ground was very basic, consisting of a simple uncovered tribune on the east side of the ground and a single step around the pitch. 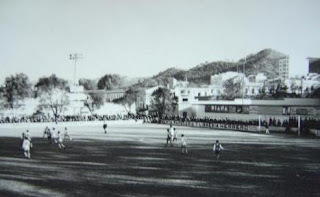 In season 1960/61, leading player Richart was transferred to Sporting de Gijón and it is said that this money was used to build the popular terrace at the north end of the ground. Simple improvements to the terracing occurred during the 1980s, but the next major improvement was the building of a new tribuna on the west side in 1990. This remained uncovered throughout the 1990's until a roof was added in 2000. If you look closely at the back of the stand, there are more upright supports than actual cantilever struts, suggesting that the stand was originally planned to be 15 metres longer than the finished article. 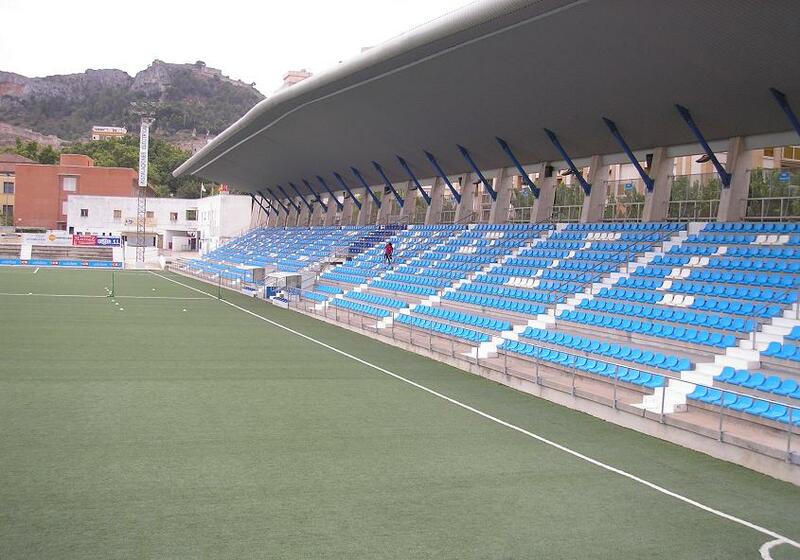 This is now the focal point of the stadium with its modern lines and 1750 sky blue and white seats and a white cantilevered roof. The final improvement came in 2005 when the club replaced the natural grass with artificial turf. Olimpic's return to Segunda B was steady if unspectacular, finishing in a respectable ninth place at the end of the 2011-12 season. Their start to the 12-13 season was nothing short of miraculous, heading the table and conceding just 3 goals in the first third of the season. This feat was made all the more impressive when you consider that Olimpic has the second lowest budget in the division. Regrettably form fell away with the club dropping out of contention for promotion on the last day of the season. In December of 2013, Olimipic & La Murta became the focal point of Spanish football when they drew Real Madrid in the Copa del Rey. Such was the excitement of the Olimpic directors when they were paired with Los Merengues, the draw had to be temporarily halted. 2,500 additional temporary seats were erected on the east side of the stadium, on ground borrowed from the municipal swimming pool. Xàtiva is a great town and Olimpic is a friendly little club, both worth a visit should you be travelling around the region.